I reviewed the first Revealed palette (here), where I thought it was a very nice 'dupe' for the Urban Decay Naked 1 and Naked 2 palettes. 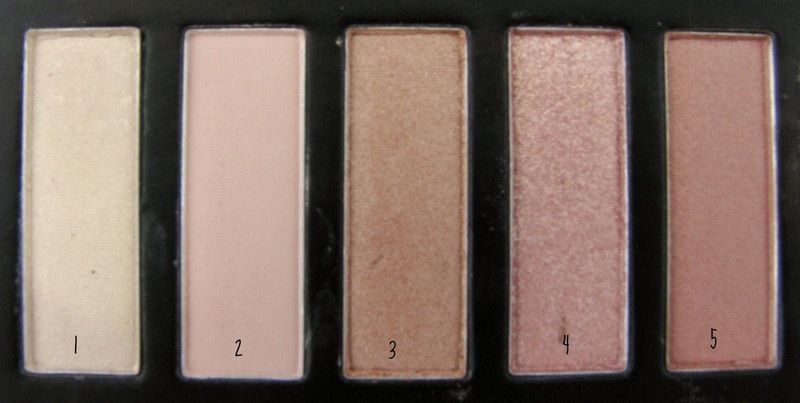 When the Naked 3 came out, everyone ooh'd and ahh'd over the rosey tones of the shades. 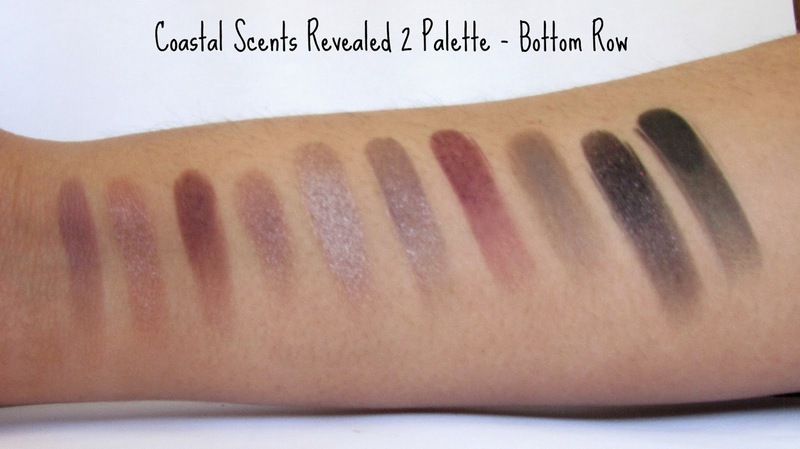 Soon after, Coastal Scents (among other brands!) came out with their take on the Naked 3 palette - only it's so much more. Where the Naked 3 palette has 12 shades, the Revealed 2 palette has 20 - and, if truth be told, I might actually prefer the Revealed 2 palette just a little bit more than the Naked 2. The palette, much like the Revealed palette, is made of cardboard. It won't withstand a fall, but it will survive travel (be careful about how you carry it, though!). 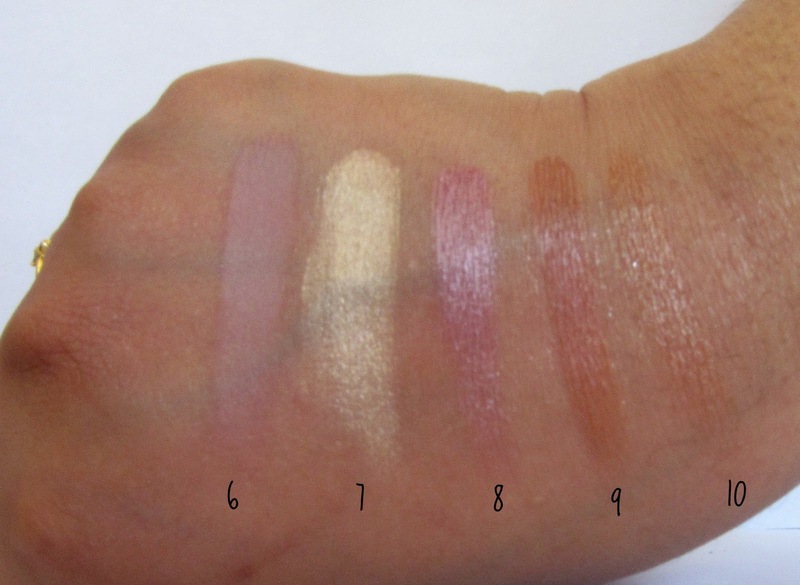 Now, as far as the shades are concerned, it's clear they have the rose tones similar to the Naked 3, and I've found some similarities between the individual shades, but nothing I can call an outright 'dupe'. 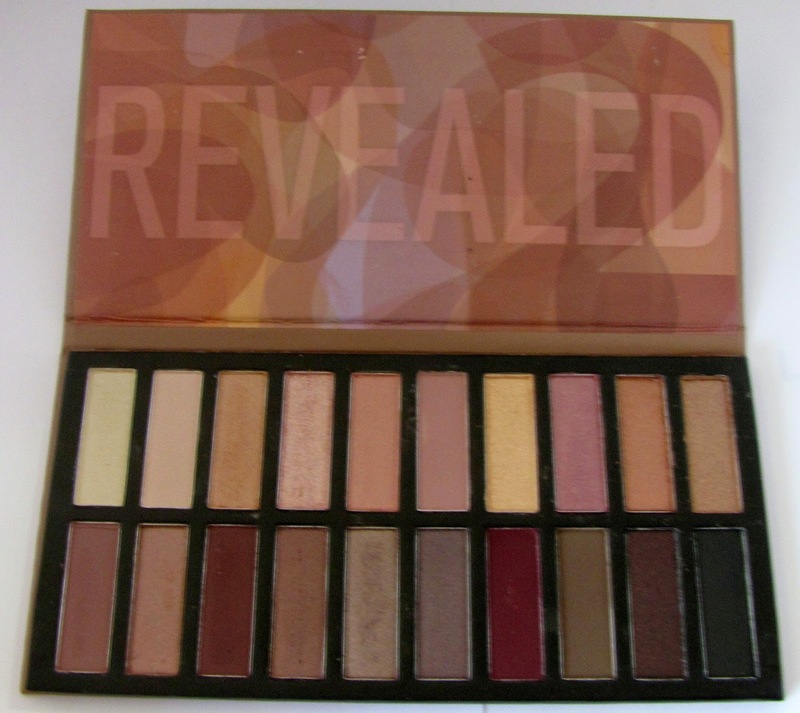 That being said, I think it's a lovely palette, and a great complement to the first Revealed palette. Between the two, they form a fantastic set of neutral palettes. They still haven't named the shades, though, so I'll be using the numbering system like I did with the first palette. Again, despite the fact that these are rose-tinged shades, there's a nice mix of warm and cool tones in the shades. However, I'd consider these to be slightly more warm toned than cool toned. 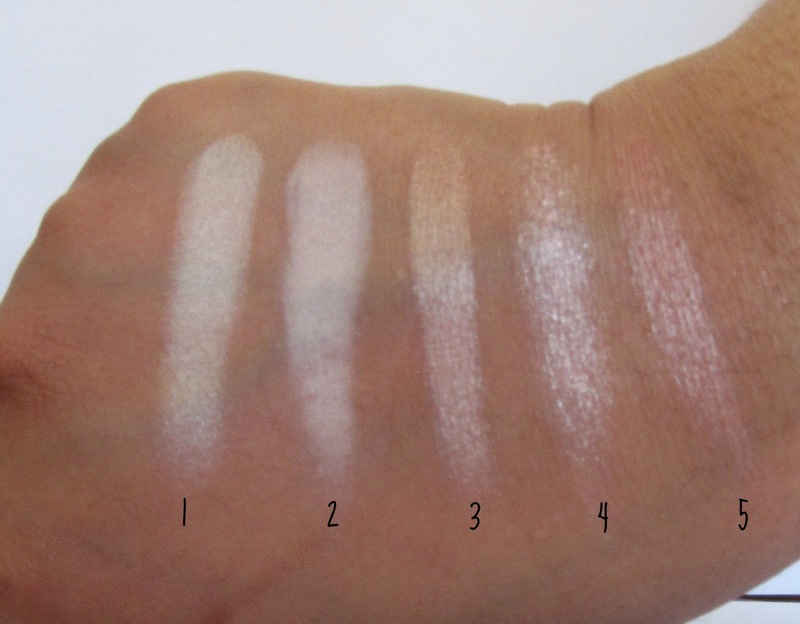 Shade 1 is a pearly warm toned cream color. It feels smooth and is nicely pigmented. Shade 2 is a neutral matte white. It's a little on the chalky side but builds up well. Shade 3 is a shimmery peach-y apricot. It's got good pigmentation. Shade 4 is a glittery warm toned baby pink. It's rather chunky and produces the most fallout out of all the shades in the palette. It does work well over primer, though. Shade 5 is a warm toned, shimmery rose shade. It has nice pigmentation. Shade 6 is a matte, neutral-leaning-cool toned mauve shade. It's surprisingly smooth and not chalky. Shade 7 is a shimmery, light gold shade. It's got nice pigmentation. Shade 8 is a shimmery mid-toned pink shade. It feels rather creamy, and is very pigmented. Shade 9 is a shimmery warm medium brown. It has lovely pigmentation. Shade 10 is a shimmery light warm bronze. It's nicely pigmented. Shade 11 is a matte taupe. It's a little bit on the chalky side but it's still decently pigmented. Shade 12 is a rose-y bronze shade with a shimmer finish. It has good pigmentation. Shade 13 is a warm matte red-brown. It's a little bit on the chalky side, but worked fine over primer. Shade 14 is a pearly warm taupe-y brown. It's got lovely pigmentation. Shade 15 is a shimmery cool toned taupey bronze. It's very smooth to the touch, and is nicely pigmented. Shade 16 is a demi-matte taupe. One of my favorite colors in the palette! Shade 17 is a warm, matte cranberry. It's definitely a gorgeous shade. It's supposed to be a dupe for MAC Cranberry, but since I don't have the MAC version, I can't really compare them. Shade 18 is a cool toned matte medium brown. It's a little chalky, but makes a great transition shade. Shade 19 is a matte black with red and gold glitter. It's chalky, and the glitter produces some fallout and the glitter doesn't translate onto the lid, even with primer. It's definitely the most problematic shade in the palette. Shade 20 is a matte black. It's decently pigmented, and not too chalky. 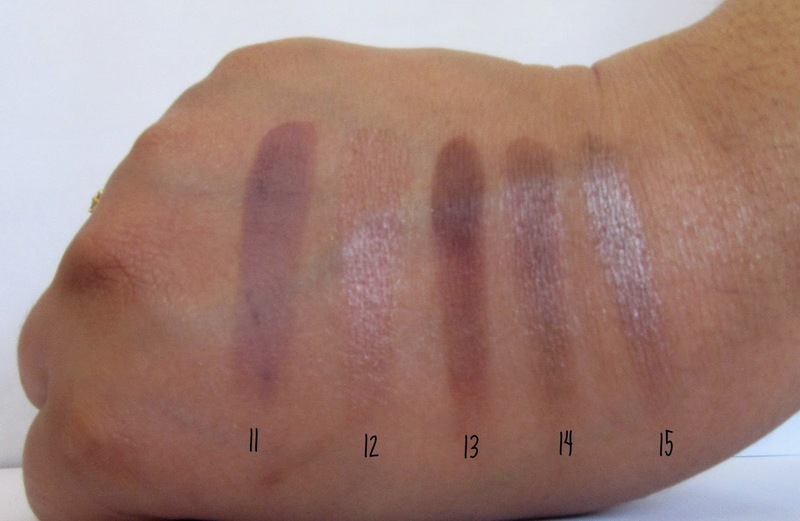 Okay - Now that we have the swatches, let's talk about the quality, pigmentation and performance! 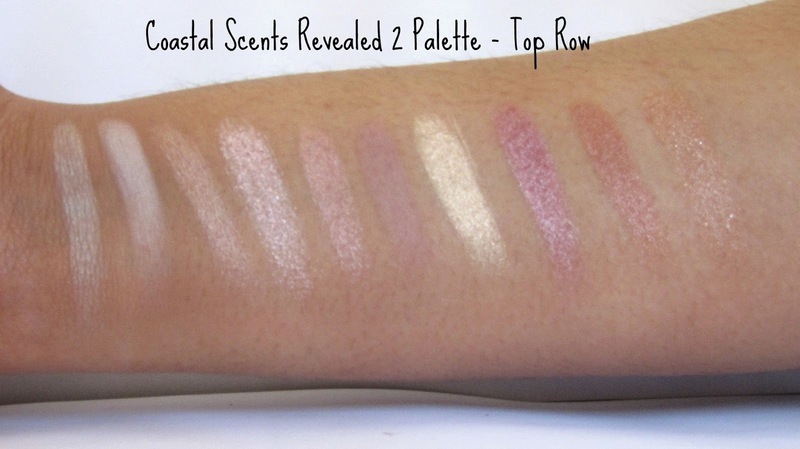 The quality is similar to that of the first Revealed palette - surprisingly great. They feel smooth and soft, and kick up a little bit of fallout if you dig your brush in, but once you tap the excess off your brush, there's minimal fallout under the eyes. Some of the shades do feel gritty, and the glitter shade was quite problematic, but if you pat on the shadow, and do your eyes first, you shouldn't have too much of an issue using these. Pigmentation is, again, surprisingly good. The shimmery and pearly shades had the best pigmentation, but even the mattes weren't too bad. All my swatches are NOT done over primer - so that gives you an idea as to how pigmented they are! The shimmery shades veer slightly into frost territory, but they're still lovely. The mattes are a wee bit chalky, but still easy to use. They work well over primer, and blend out without too much effort. Over primer, these last a good 8 hours on me with minimal fading, which is par for the course. They're not super long lasting but will take you through a regular workday. Now, I like this palette over the Naked 3. Why? 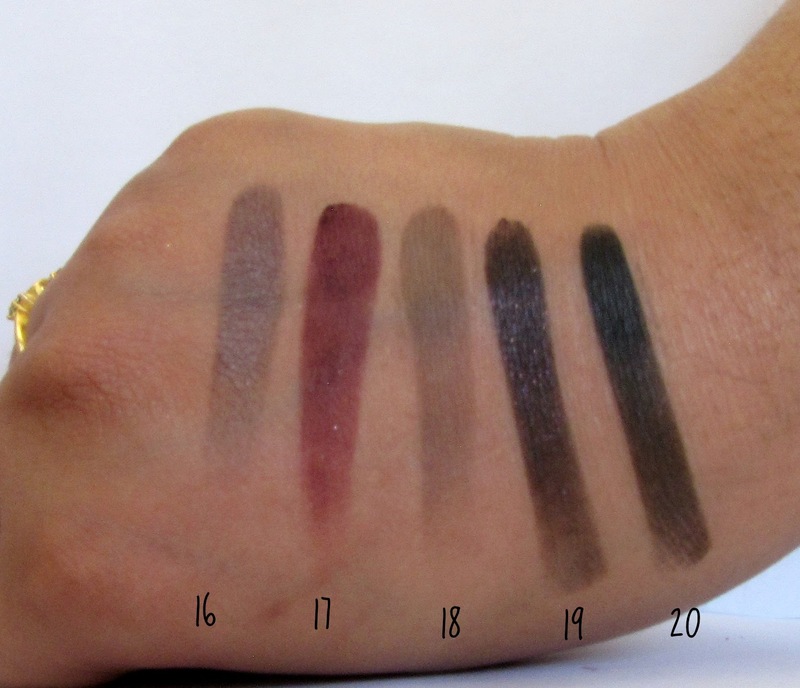 It's simple - because while the Naked 3 does have a little better pigmentation, and does last a little longer, 2 of the 12 shades are just awful, which, given the price you pay for it, is just frankly terrible and unacceptable. This palette has 2 of the 20 shades which have issues, which isn't bad, especially considering this palette is less than half the price of the Naked palette. It also has a better variety of shades overall, and just seems more complete to me. So, you know. More shades, good quality, good pigmentation, good performance. What's not to like?